The Energy Check is a consultant for both domestic and business utilities. The Energy Check believe that the right service comes from employing the right people. Our skilled, diverse Management Team utilise years of knowledge and experience to ensure your needs are met. 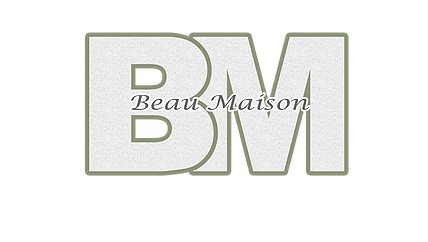 ​ Contact us today and our experienced team are happy to discuss your requirements. KA Andersons (Metal Recyclers) Ltd. require all grades of scrap materials, both ferrous and non-ferrous including factory arisings and surplus materials. Our purpose built recycling facility in Ripon handles over 1000 tonnes of materials per week and supplies all major steel works, foundries, die casters and specialist ingot manufacturers. We specialise in factory and works collections and can offer premium prices for all material. Using our fleet of custom built vehicles we can offer a fast efficient collection service, which is second to none. To meet the demands of our customers we can also supply a range of containers to suit any requirements free of charge. P Martin Property Improvements Ltd Call 07515446956 or 01765609967 Tiling, flooring, kitchens, blind installation, decorating and more! Please call to discuss your home improvement needs. Free quotation on all jobs. Welcome to Kettlewell Commercials Set up originally in 1960 as a Haulage Contractor. 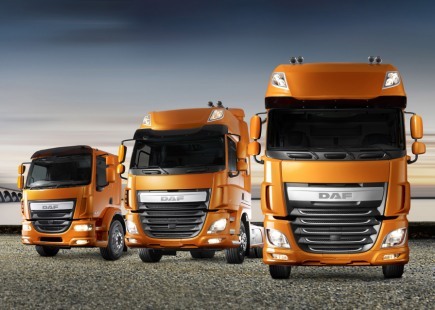 We then expanded into Fuel Oils Distribution in the 1980’s and further as a DAF Truck Service and Parts Dealer in 2002. As a Company we still hold true the Family Values and Customer Care that were so Important in the 1960’s. We are based on a 4-acre site at Melmerby, Ripon just off the A1/ A61 Junction. Ripon Bowling Club is a local social club with a large function room, 2 bars, Bar games including snooker, pool and darts. The function room is available for hire by members and non-members. For more information see the link below or call 01765 602971. F B Taylor Ltd is the UK's leading specialist cable installation sub-contractor operating throughout the UK, Europe and Middle East. The Company has gained an enviable reputation within the M&E industry over the past forty years and continues to be privately owned. We are proud to be a second generation family business with John Taylor as Managing Director. The business was incorporated in August 1976, but has heritage back to 1966. Our experience is wide-ranging covering the installation of all types of cable for power stations, petro-chemical plants, wind farms, manufacturing units, railway projects, warehouses, water treatments works and more. Our scope allows us to undertake the largest cabling contracts in the UK & Europe as well as single day projects. Our experience and track record justifies our claim of being 'Specialists in all types of Cable installation". Dales Water Services Ltd enjoys an excellent reputation for its high standards of workmanship and thoroughness of service. Since its formation in 1979, now trading for over 30 years, clients from multi-nationals, to small farms, to single domestic dwellings, have benefited from Dales Water’s services and ability to provide a private water supply at a fraction of the mains cost, allied to the company’s water supply engineering knowledge. We are a leading, full servicing digital agency that can provide you with everything that you need to create a successful online campaign, Bronco does it all... We'll speak your language. Whether you're already an expert, or you need your hand held all the way. We can be your complete internet team, or we can fill the gaps. We have a passion for carpets and we've put together a whole host of measures to help us achieve a unique combination of products, services and benefits that all add up to putting you, the customer, first. We have an extensive range for every taste in our showrooms, including Victoria Carpets, Whitestove Weavers, Hugh McKay Gaskell and many more. Our own stunning brand collections can simply be described as wall to wall elegance, and include ranges in hardwearing stain resistant man made fibres or the soft warm luxury of 100% wool in a dazzling choice of colours, shades and textures, there really is something to suit every taste and all at our famous low prices. 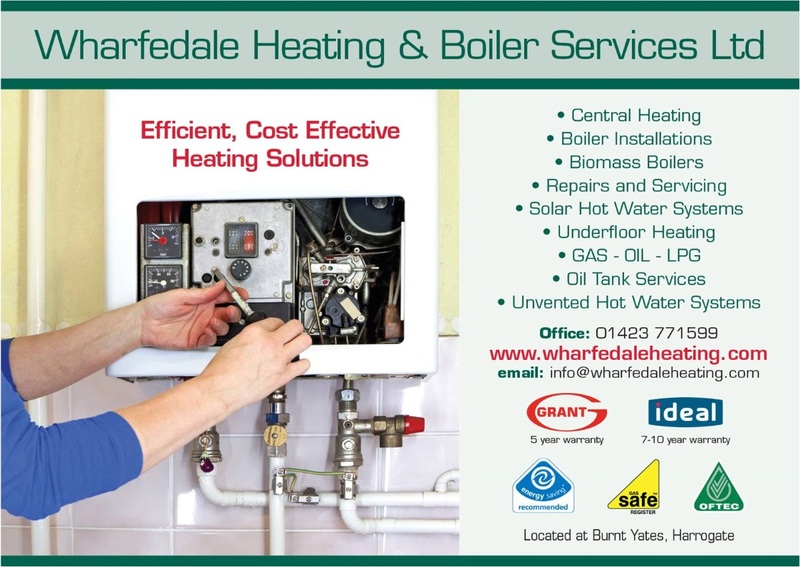 Efficient and cost effective heating solutions. Local removal specialists With over 15 years of experience in the removals trade, we are known in the Ripon area for our superior quality and excellent customer service. In addition to removal services, you can also approach Smart Move & Storage for premium storage services. MKM is the UK’s largest independent builders’ merchant, with 44 branches across England and Scotland. We aim to be a ‘one stop shop’ for building, timber and plumbing supplies, and stock a wide range of products from the industry’s leading manufacturers - all at competitive prices. We hold high levels of stock on-site to ensure both our customers in the building trade and the general public can get what they need, when they need it. We also offer a free, reliable local delivery service to help your projects run smoothly. F. Tate and Sons has 80 years of history as a family business in Ripon and we’re now into our fourth generation of gardening and growing. From a tiny plot, Tate’s has grown into a successful garden centre, continuing to grow many of the plants they sell, as they have for eight decades. Fred Tate founded the business on a Ripon allotment. Every day he cycled the five miles from Rainton to work on his land. He stayed there until he was able to rent some land on what is now a housing estate on Kirby Road, Ripon. Fred soon had a thriving little plant nursery going, selling his plants at Ripon and Skipton markets. Soon his eldest son, Bryan, was taking the trips to market with him. And as soon as Bryan’s younger brother Frank was old enough, he was along for the ride too, eventually taking over the market operation himself. Bryan started to specialise in floral arrangements for weddings and funerals using the plants from the nursery, a skill for which he won many show awards. Tate’s was now very much a family business. None of Fred’s children were allowed out after school until they’d done their share in the nursery, boys and girls alike. The daughters, though, tended to specialise in the markets – Tate’s was now selling at other local markets as well as Ripon and Skipton – and Bryan and Frank’s wives also joined the selling team, an operation that ran for about 35 years. Frank‘s son, Simon, also started out on the markets, later helped along by his wife, turning his full attention to the nursery and a growing garden centre in 1991. By then, Tate’s had been at its current site for just a year. Bryan had had to retire in 1985, and sadly passed away in 1996. Brother Frank continued to work in the family business he loved until his death in 2003. So, Simon, his wife Jayne and his brother Nick took over the running of the business full time. True to Tate’s tradition, the younger generation did their share, and would often be seen serving customers. Nick moved on in 2012, and the Tate’s team is currently Simon, Jayne, and their son, Tom. The third and fourth generation of Tates involved in the plant world have turned the nursery business into a successful garden centre offering everything gardeners could need to grow the best plants and get the most out of their gardens and allotments. Tate’s continues to grow – the centre now has a range of gifts on sale – and change with the times and is looking forward to another successful 80 years serving the growers of Ripon and its surrounding area. Welcome to Window Craft Window Craft (Ripon) Ltd is a small local company, run by local people to serve you the local community. Our products, service and reliability are only some of the attributes that set us aside from out competitors. If you are considering a uPVC installation make sure we are one of the companies on your list for a quotation and let our services speak for itself. Glass Solutions is a family formed enterprise, with many years industry experience. As an independent Glass and Glazing company, we are able to offer and install a wide range of different glass products such as kitchen glass splashbacks, bespoke mirrors, glass doors and glass shower screens. Also offering window repairs and most aspects of Glazing, Glass Solutions will always go that extra mile to make sure a fast turn over if necessary. Our aim is to ensure a fast and efficient service for our customers ensuring 100% satisfaction through quality goods, good service and customer care. 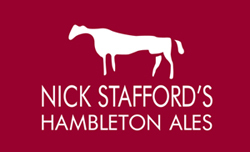 Armed with nothing more than a pair of wellies, some old steel tanks and a rusty Peugeot 205, Nick built his brewery with blood, sweat and tears. Why did he do this? Simply because he wanted to make great beer. Today demand has meant that we have moved out of the garden, and we also have slightly shinier tanks, but Nick’s original ambition still stands. We love making great beer. That’s what we do best and everything we do revolves around that fact. So whether you are drinking one of our much loved cask, keg or bottled beers, or trying one of our monthly specials, you can be sure that you are drinking a beer of outstanding quality, brewed with real passion, by people who just want one simple thing – to make great beer. With many years of experience in property, maintenance (commercial and domestic), restoration both nationally and internationally we provide a viable and trustworthy solution to your property requirements.